Latest News.. Students Feedback from Online Courses are in !! As a newer diver I found Steve's videos a huge asset in increasing my knowledge as a diver. Very clear and easy to follow instructions. You really get your money's worth!! Thanks for taking the time and putting together this video series Steve! The videos are very detailed and comprehensive. There is an endless amount of information and rewatching the videos always reminds me of something more I can do. Great value. Thanks Steve! I am Chiwon Lee, a professional diver from South Korea. Thanks to your videos, I have learned side mount diving since 2013. You are my great inspiration to upgrade my side mount diving skills. So luckily, I bumped into you at Grand Cenote in Mexico in 2015. I was so glad to meet you although you may not remember me. Anyway, I sincerely appreciate your updates about the side mount diving tips and gears. I definitely highly strongly recommend your videos to others. I really look forward to your forthcoming videos, and I hope to have another chance to meet you in the future. 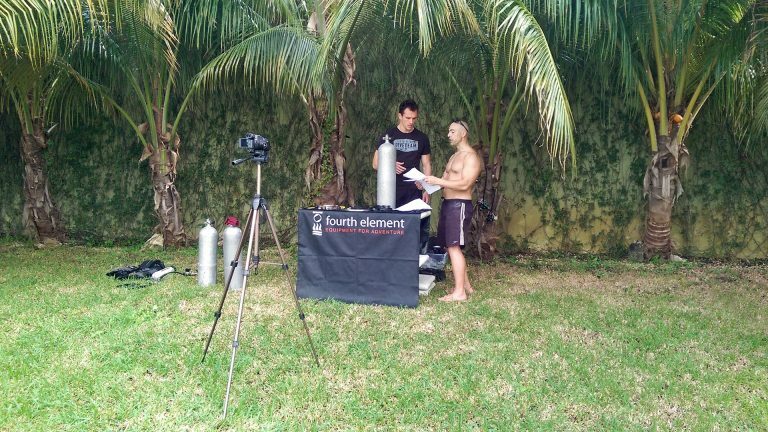 I started learning about sidemount with Rob Neto’s book, but learning sidemount started with Steve Martin’s online training. What is particularly good that Steve explains why you need to do things. What I miss sofar is a subject about ring bungees and the Dive Rite setup for tanks, if only for completeness. Subscribe to Steve Martin’s online video training today! 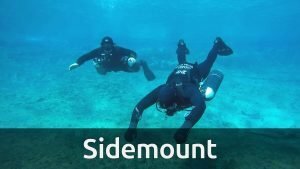 Fantastic videos and a must for anyone who really cares about been the best side mount divers possible. 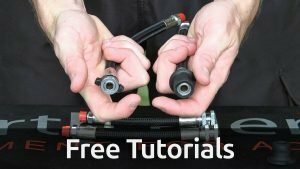 these videos along side a good instructor and you will bet set up with the best knowledge and skills out there. 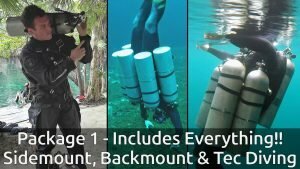 If you want to save yourself a lot of time and effort figuring out your sidemount configuration and skills, this video series is the best investment you can make. It's not a substitute for quality in water instruction but it is a great a pre and post course reference. Great videos, absolutely worth every penny. The explanations, the attention to detail, the logic behind everything, the presentation, even the humour in some cases - in one word, awesome. Great job, Steve, keep the good stuff coming. Safe diving. As a relatively new diver I was extremely pleased with the quality of the videos and instruction that I got from the series. Steve had useful and relevant tips that all divers would benefit from. The video series are well organized, clearly presented, and of a very high quality. 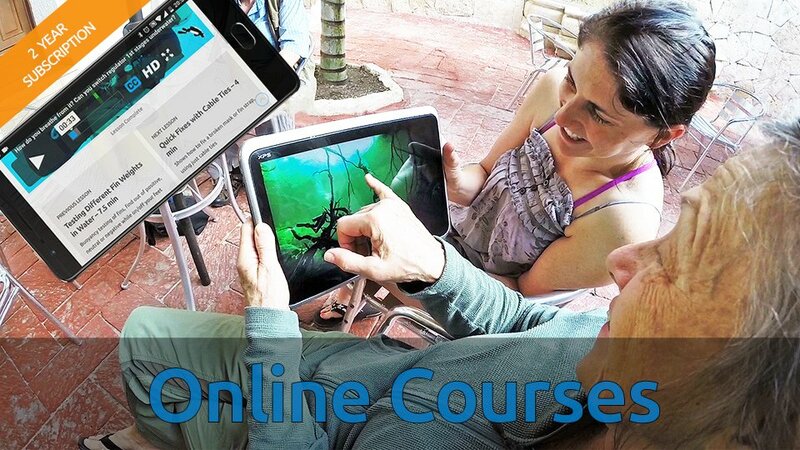 I have done online learning through some of the training agencies, and I can say... read moreAs a relatively new diver I was extremely pleased with the quality of the videos and instruction that I got from the series. Steve had useful and relevant tips that all divers would benefit from. The video series are well organized, clearly presented, and of a very high quality. I have done online learning through some of the training agencies, and I can say that these videos are an order of magnitude better!! Also, I found the comments and discussion from others who had watched the videos quite useful. There is nothing worst than getting a sidemount kit, signing up for a course and having a terrible instructor. 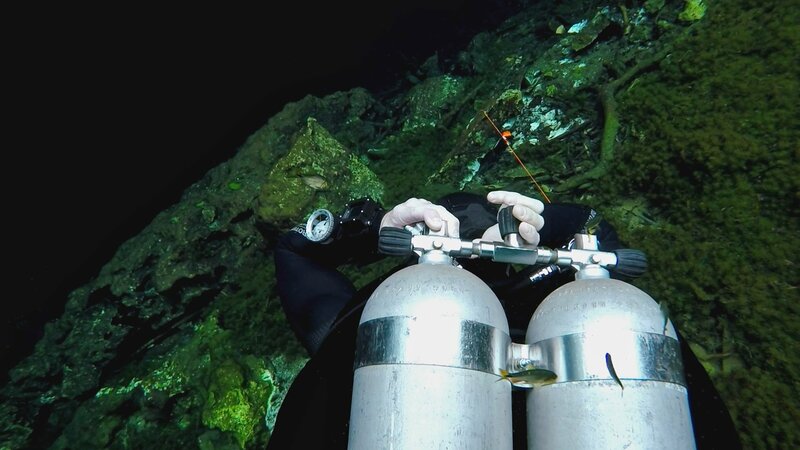 Trust me, good sidemount instructors are a rare find! 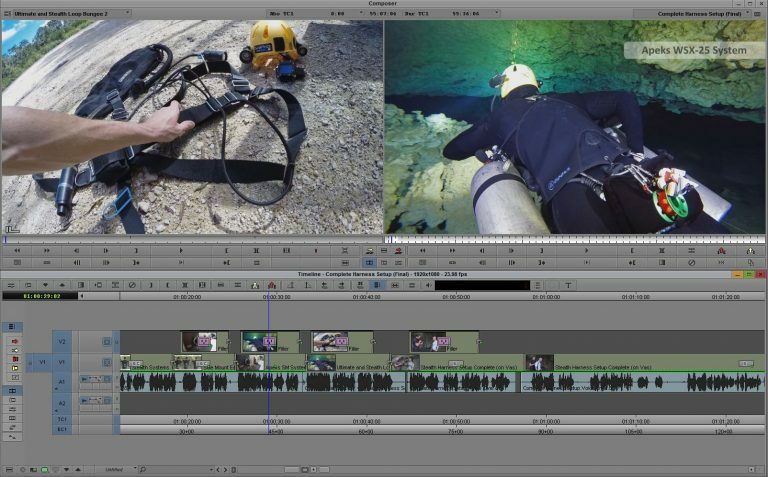 With Steve Martin’s training videos you can be sure you got a great instructor who, through his videos, answers all the questions you have regarding sidemount. 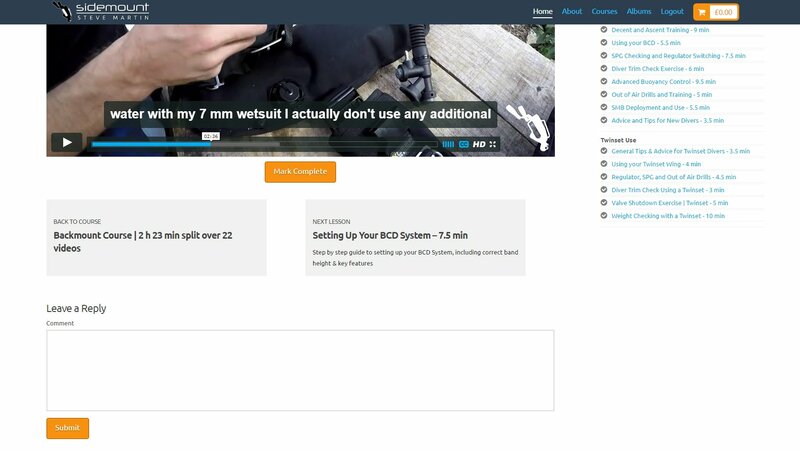 It teaches you all the tricks, tweaks and skills needed to have... read moreThere is nothing worst than getting a sidemount kit, signing up for a course and having a terrible instructor. Trust me, good sidemount instructors are a rare find! I follow Steve since he started to publish video about sidmount. I use this configuretion from 2012 but only when I saw Steve diving I understen how far i was. So, when Steve published his on line video course, I immediately perform it. The course took me step by step in his world and allow me to spend time trying skills instead of looking for the... read moreI follow Steve since he started to publish video about sidmount. I use this configuretion from 2012 but only when I saw Steve diving I understen how far i was. So, when Steve published his on line video course, I immediately perform it. The course took me step by step in his world and allow me to spend time trying skills instead of looking for the right configuration. Subsequently I started the I follow Steve since he started to publish YouTube videos about sidemount. I use this configuration from 2012 but only when I saw Steve diving I understand how far I was. So, when Steve published his on-line video course, I immediately perform it. The course took me step by step in his world and allow me to spend time trying skills instead of looking for the right configuration. Subsequently I started the technical formation and I get the maximum yield from the course. Another important thing: after the first release I asked Steve by PM and the web to help me in some configurations that had not been treated. Into the second release in 2017 I find all the answers I was looking for. I started diving in July 2017. Since then I have spent almost every weekend in the water doing saome diving and learning new skills. My mentor is a sidemounter and when I decided to go into intro to tec that is the platform he steered me into. That is 3 months ago. I have been enjoying learning the new platform and honing my skills particularly... read moreI started diving in July 2017. Since then I have spent almost every weekend in the water doing saome diving and learning new skills. My mentor is a sidemounter and when I decided to go into intro to tec that is the platform he steered me into. That is 3 months ago. I have been enjoying learning the new platform and honing my skills particularly the back kick. One of the guys at the shop, Jay Lytell suggested to look at Steve's website that it had a lot of good information. Wow he was not wrong. I have an Apeks 25 rig which is great, but now these guys are all in XDeep rigs. Making me jealous but I am learning and gaining experience I will try the XDeep for sure. I've won an access to the online course awhile ago and as I'm going through the course at my own pace, I'm learning and honing much through him. Thanks again for the given knowledge. It is a very helpful set of video training for beginners to advance sidemount diver. Even as an instructor, you can learn something new. Highly recommended to all. 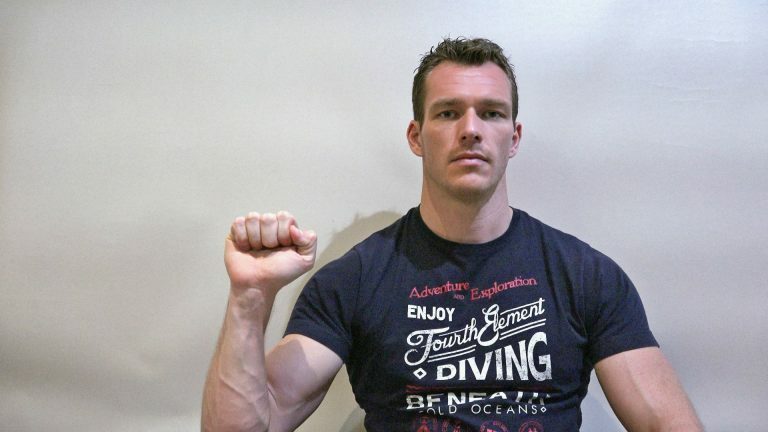 One of side mount scuba diving pioneers. I learned lots of skills from his videos. Great set of videos. Would definitely recommend to all side mount divers. 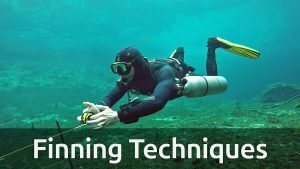 Clear and helpful videos from setting up your rig all the way to technical diving and everything in between. Hopefully will have the change to get in water with Steve in the near future. Want to see what you get, then watch this!! With online video based training …you can see it, hear it and experience it !! Completely re-designed online video training concept!! 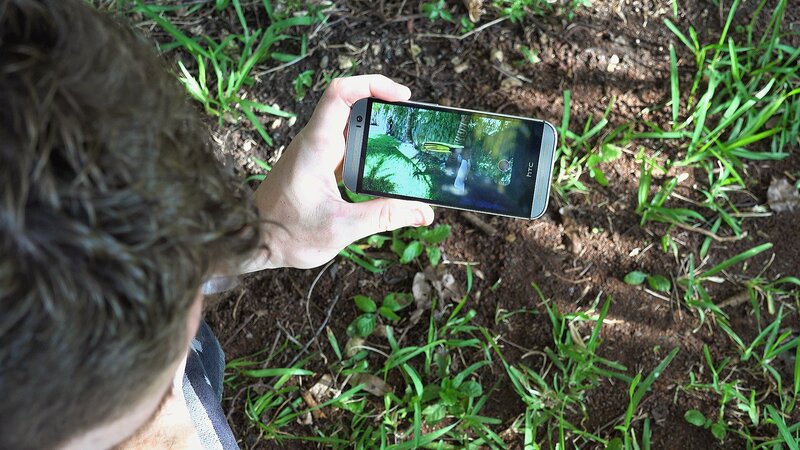 Each second of video has a “high quality audio” voiceover added, designed to maximum your learning experience. Has a more modular design, with smaller more manageable videos lengths, average being just 7 minutes. New updates are added easily to each video series and members immediately notified of new content as it gets released. All workshop videos were shot in 4K and converted to 1080p during editing, this allows for amazing high detailed close-ups. All content was professionally edited using AVID Media Composer which gives smooth transitions, slow-motion effects all greatly improving your learning experience and save on your valuable time when watching. All lessons come completely subtitled in English, these are optional, you just select them in the video player. 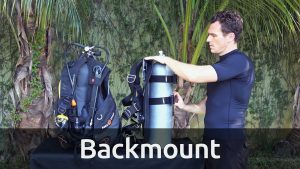 Step by step guide to weighting yourself in just your exposure suit and using a single backmount cylinder. 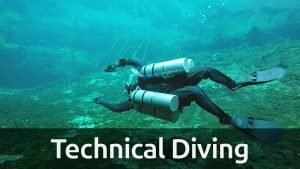 Step by step guide to weighting yourself using a twinset or sidemount cylinders and full technical equipment with stage and deco cylinders. Includes standard backmount systems, XDeep Ghost and Zen. Includes various sidemount systems, Razor 2, XDeep Stealth (Classic, Rec & Tec), Ultimate and AGIR Ratatosk. As well as older systems like; Hollis SMS 100, Golem Gear Armadillo and Dive Rite Nomad. 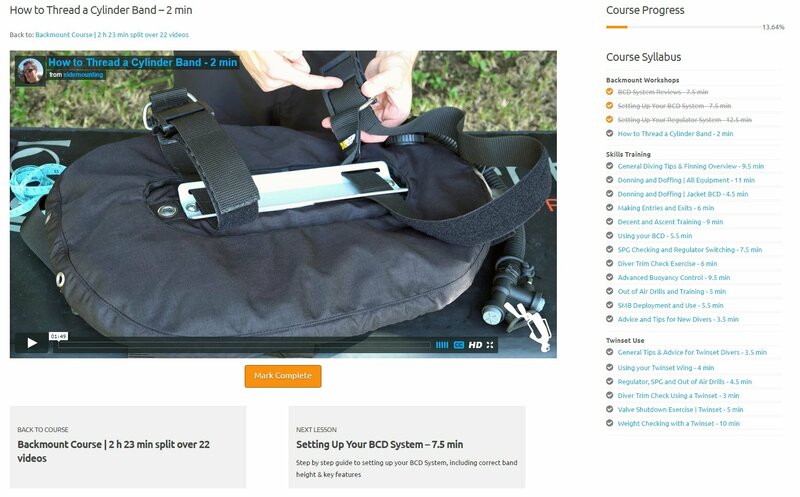 Now added a comprehensive Backmount Course with 8 h 34 min content split over 70 individual videos. This will help all levels of divers especially the ones straight out of there open water course. Covering everything from the essential equipment setup to proving why when correctly weighted you won’t need a removable weight belt and if your BCD completely failed underwater you can still safely swim to the surface without assistance from your buddy. 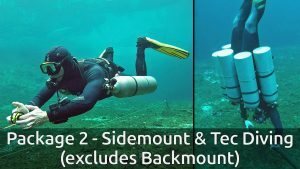 Both my backmount and technical diving course packages include twinset modifications along with setup & training tips that will for sure improve your backmount diving. 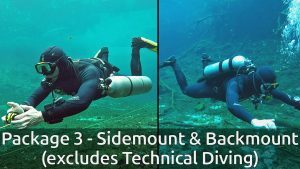 I cover all the pros and cons of twinset compared to sidemount diving and why for multi cylinder technical diving you should consider using sidemount configuration. 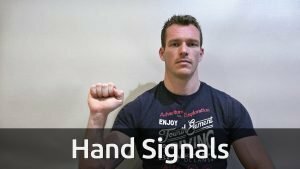 31 minutes of content split over 5 training videos, which cover over 100 individual hand signals. I go into exactly how to make each signal and what situations you should use of them for. 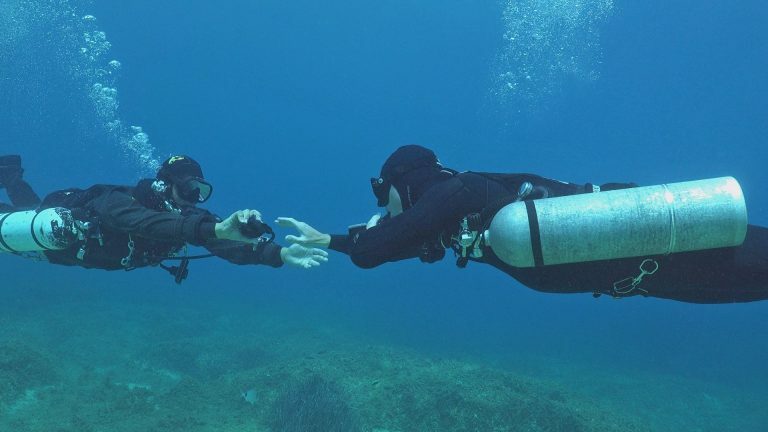 Note all hand signals shown are ONE HANDED versions as when you dive it is often common to have one hand occupied. 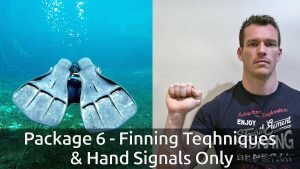 There are hand signals for making different finning techniques, as well as general signals for all divers and technical divers including deep / cave. I also include special signals I use and recommend other instructors to use for communicating with students in training. 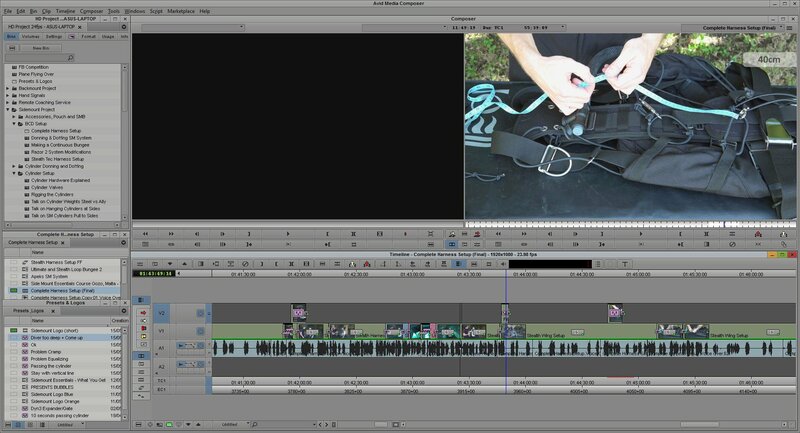 1 h 22 min of content split over 13 training videos, which cover all the finning techniques recreational and technical scuba divers use. Each video goes through step by step how to develop each finning technique as well as show you the common problems and how to over come them. 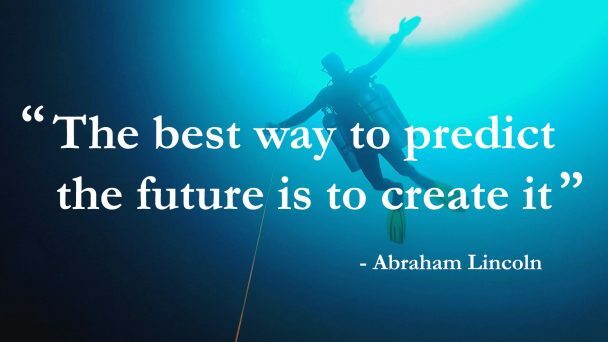 Simple put… I started again so I could FUTURE PROOF my online video training series. It would need to be more user friendly and be easy to update as time passes and the dive industry develops. My old video series consisted of just 6 videos, 5 being 1 to 1.5 hours long and 6th being 8 hours in duration. The new series has currently 165 videos with close to 22 hours of content and the average video length being just over 7 minutes making each video easier to watch and re-watch as well as index. All course lesson videos are now available through a state-of-the-art online eLearning training system. Since the release of my old video series (April 2015), new video content was shot between May 2015 to August 2016 (1.5 years) this includes, students in training and 2 months of additional footage that was shot solely for the purpose of these new online training products. 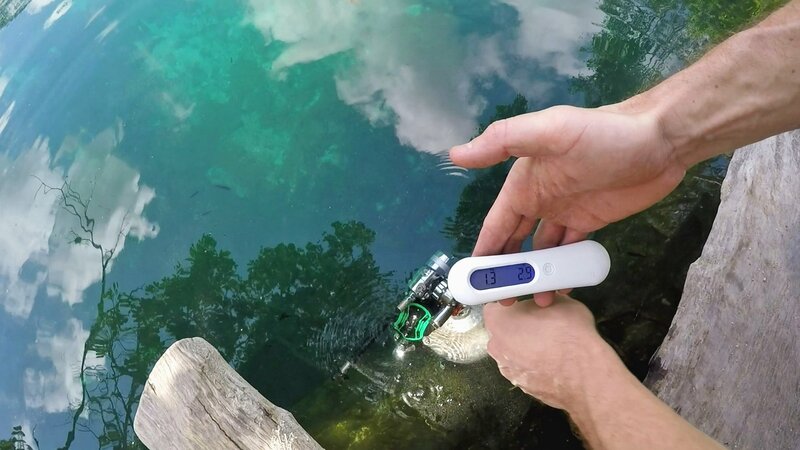 1st – A diver needs to understand what they need to be able to do and/or learn, otherwise there time spend underwater is generally wasted and not productive. A diver also needs actual in-water practice and training in order to develop any new dive skills. 2nd – to know what to practice you need theory, know how to correctly setup equipment and understand how to do dive skills, this comes by studying the online training materials. You can learn this just from your instructor but the amount you can learn at the same time as trying to actual perform skills is more difficult and often a lot is misunderstood or missed. Online training fixes this!! 3rd – once student hits the water and tests a new equipment configuration or dive skill, they get direct feedback on how well they performed it. 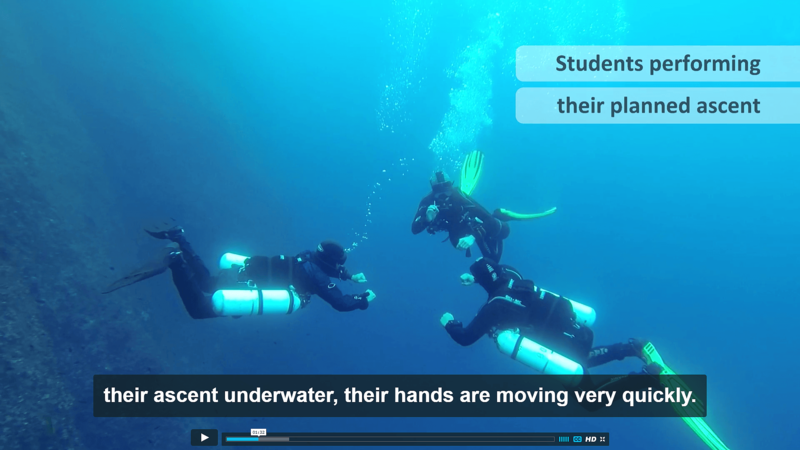 Having seen the online video prior to an instructor underwater demonstration helps the student understand exactly what they are watching, which means better performance during training. 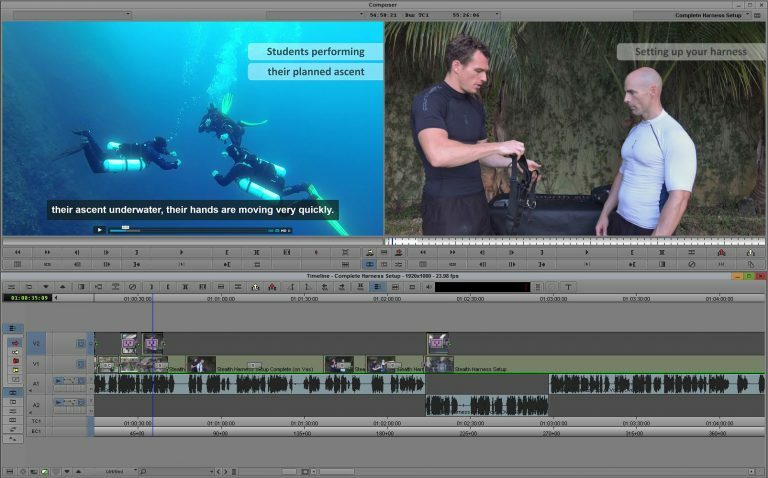 After a training course, skill retention and theory knowledge drop over time, this is where the online videos again come in full swing as the diver can refresh any all or any parts that they feel they need to before again hitting the water. Cylinder band which secures lower cylinder boltsnap is positioned and tested in four different places in relation to the extension post, proving exactly which is the best location that works for securing your sidemount cylinders. Cylinder band height is moved from my recommend setup height, higher and lower on the cylinder in 5cm increments, I prove how this effects your cylinders trim. Loop bungee is fully testing from my optimal suggested setup length again in 5cm increments. 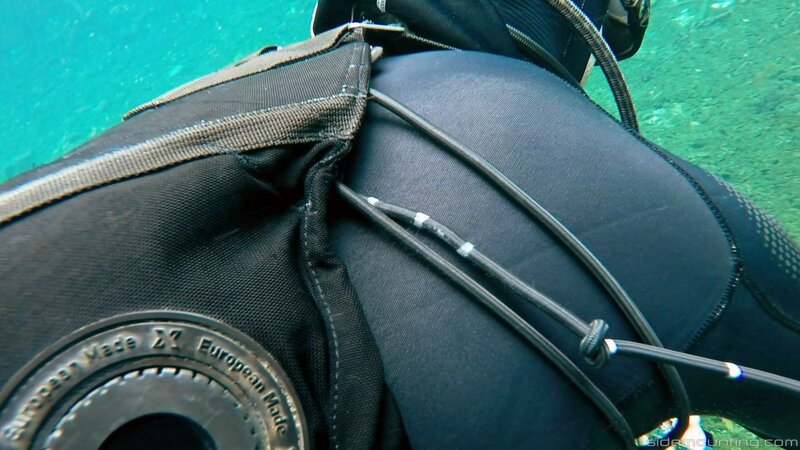 This shows what happens if your sidemount bungee is too short or too long and what effect this has on your cylinder trim. You will find even more detailed feedback further down this homepage, here are the highlights of requested improvements by customers using my old training series. • Underwater clips should have narration or commentary added to them. • Training videos should be shorter in length, broken into sections and easier to find. 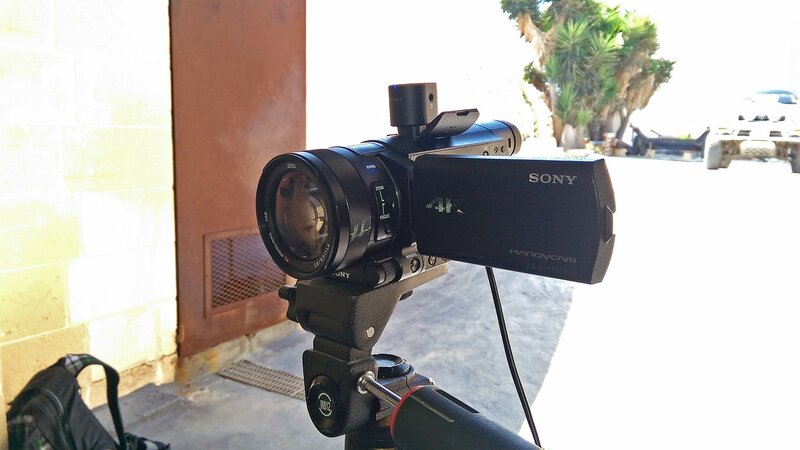 • Like to see more close-up video of equipment configuration and slow motion of skills being done. 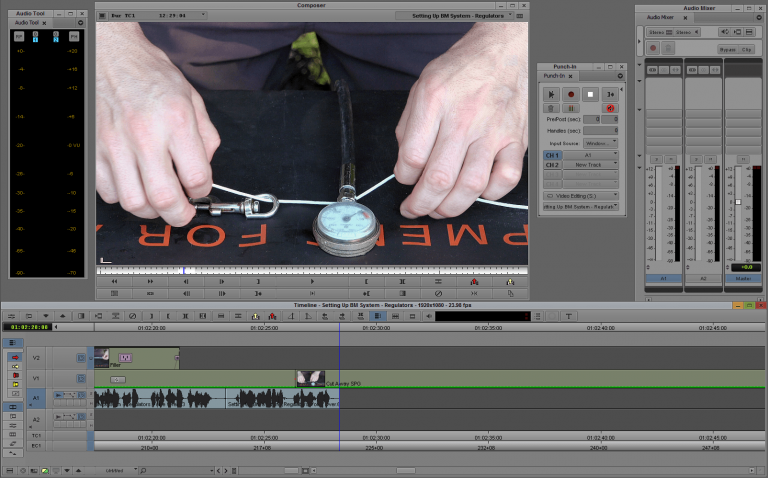 • Videos need consistent sound quality, if your video based training was professional edited it would be amazing!! • Like to see more on diver making ascents and ascent techniques. • Like to see more on diver trimming and sliding d-rings/cylinder trimming. • Want more configuration setup and skills for trimix divers and divers carrying/using 5 or 6 cylinders. • Avoid using black bungee on a black background, make knot tying easier to see. All these requests have been fully implemented into my new video series plus much, much more!! So based on that feedback and since I document and video record all my student in training. I actually went back through all courses I taught since 2009 “7 years worth” and after reviewing thousands of video clips, I selected the best ones related to actual problem solving of student during training and edited them into the new video series. Now each of my current 165 online training videos have a comments section just below each of the actual videos. It is simple if you have watched the video twice but still have a question or do not fully understand something, just use the “leave a reply” section below each video and I will do my best to answer any and all questions raised. This comment section is also a great place for you to leave feedback, that you think may benefit other users when they are watching the same video. Please note: you can only leave a comment if you are an actual customers with access to that particular course. Here are just some highlights from my new online training series ? Who is my online training suitable for ? 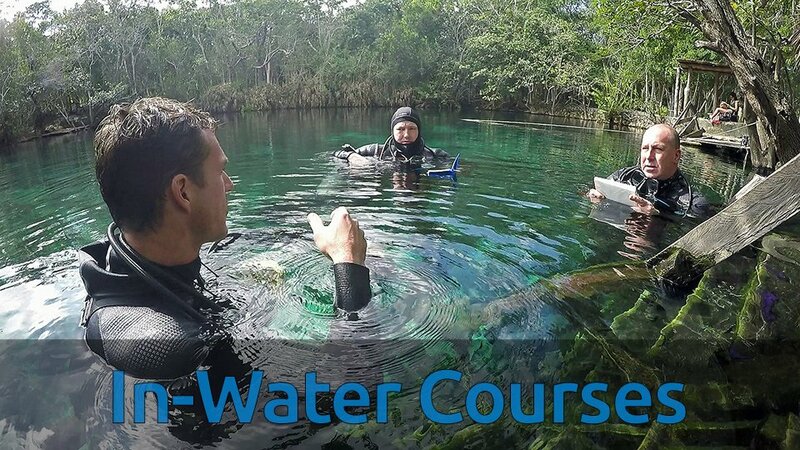 Whether your a newly certified or highly experienced recreational, technical diver or dive instructor my online training will benefit you. It is modular in design so you can watch and re-watch all sections as many times as you like, each course is broken down into small manageable sections, each with many 3, 5, 10 or 15 minute single videos. Out of all 169 videos, average length is 8 Minutes. 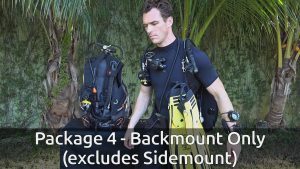 You just choose your chosen equipment configuration, backmount single & twinset, sidemount or technical multi-cylinder. Note all HD training videos are edited with a complete voice-over using the latest production quality audio and video recording equipment available. The goal was to create online training, capable of surpassing most instructors! to meeting in person only !! I now have online training products that far exceeds anything else to date, my goal was to have something that could be as good as me actually being there in person with you and arguably in some ways even better than that!! 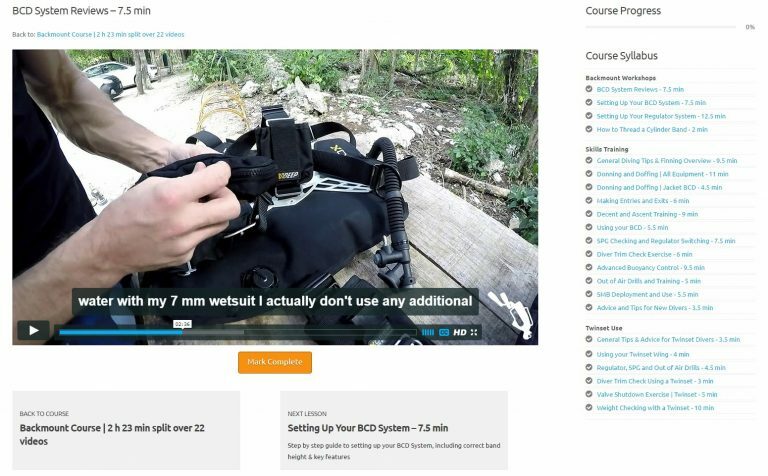 We work on practical dive skills in-water but understanding what you need to do and why, comes through learning dive theory which is best done through video based eLearning. A student during their course can easily recall previously learned information, then focus 100% on underwater skills. This maximises students and instructors time, resulting in skills being better performed and absorbed during training. Watch these videos below to help get you started !! Members can request new equipment reviews …most popular I will create new videos for !! • Access to a secret members only group, questions answered daily!! • Members can request new content, most popular I will act on. • Full educational based training system, that is tested & proven. • This training works for both divers and instructors. • More knowledgeable, this stops shops selling you the wrong gear!! • Save dive time, get into water with equipment correctly setup. • Guaranteed you will look & dive better than any diver in your club. 2017 schedule and training locations …find out where I will be and when !! After I will be back in Mexico, contact me for my course availability. New training calendar coming soon, check back here for details. Please research your future instructor carefully!! …not all training courses are the same. Huge demand for video based online training.. Nobody wants to read text online! Once you purchase this subscription, you will gain access to 7 separate courses. Containing 169 individual lessons, 22 h 52 min of video material. Once you purchase this subscription, you will gain access to 6 separate courses. Containing 147 individual lessons, 20 h 30 min of video material. Containing 143 individual lessons, 19 h 52 min of video material. Once you purchase this subscription, you will gain access to 5 separate courses. Containing 71 individual lessons, 8 h 37 min of video material. Containing 121 individual lessons, 17 h 29 min of video material. Once you purchase this subscription, you will gain access to 3 separate courses. Containing 24 individual lessons, 2 h 27 min of video material. Your chance to test my online training videos, free of charge. Contains 9 individual lessons, 1 h 2 min of video material. Example: Package 1 includes all courses, but if you are not interested in for example backmount, maybe package 2 or 5 is better choice for you? After purchasing a package, you can always get the additional missing courses later, but you will get a much better deal if you initially get the full package.